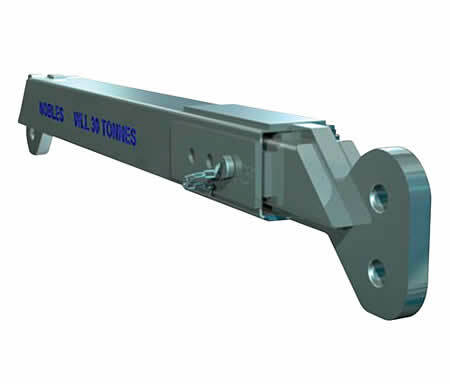 Nobles Telescopic Spreader Beams are for users who need a high quality spreader beam with the versatility of telescopic adjustment but not the additional weight and complex instructions required when a centre lug is provided. Our beams are given a single load rating for simplicity. The galvanised surface finish is more durable than either paint or powder coating. Galvanising on our lifting beams provides important protection for the outer tube and prevents any internal rust which may cause potential for hidden risk of failure. Nobles telescopic spreader beams can all be disassembled fully to enable inspection of the complete spreader beam sections. Many designs do not allow for this and pose a risk from internal corrosion failure or jamming of the sections.